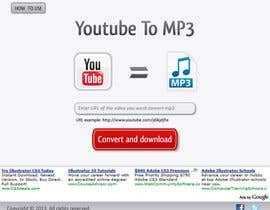 i need to create a website that can convert you tube videos to MP3 files and download links, it needs to have a very simple user friendly UI, it also needs to have google adsense on it. _ Also will need to drive traffic to the website. So I'm curious as to how something that isn't even a design, but more like political ideological propaganda, managed to win over what are clearly professional and usable designs? For instance - Entry 52, 49 or 39 would have been perfectly viable candidates. Seems like there is some BS going on. Hello Sir, Pls confirm that You need fully functional website ? YES? one more question do you need just design as well functionality of website ? If you have any additional questions or suggestions, feel free to contact us via the Private Message Board and we will respond promptly. You need fully functional website ? Contest Holder, I've been coding for over 10 years now, and I'll tell you right now, the PHP library needed for this job is ffmpeg, which many people are not experienced to install on a apache system. Be careful who you hire, make sure they have experience. Hi, Is this website having membership function or is it a free service??? 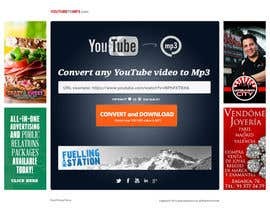 I will post my design tomorrow..
Website design or complete website + code? i don't get it, is this a project for bid or contest? do you need only web design (front end) ? Hi. 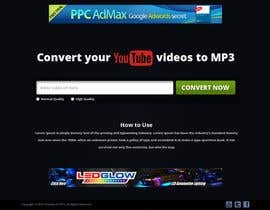 I can make a youtube to mp3 convertor site for 488 Dollars + adsense account. 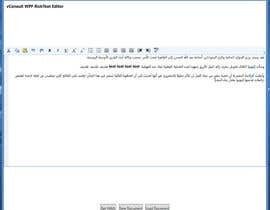 Professional design with register system.